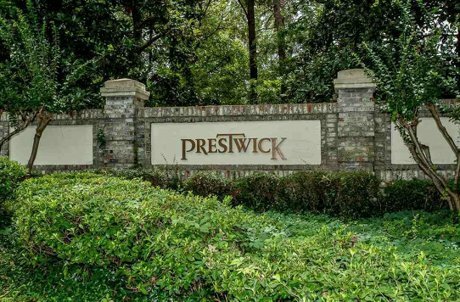 Come visit the truly unique community of Prestwick in the southern end of Myrtle Beach. Private and quiet, the community offers all the conveniences of the City of Myrtle Beach, while being tucked away from the hustle and the bustle. Located just off Highway 544, it is only moments from the beautiful Atlantic Ocean, world class golf courses, Huntington Beach State Park, the high end shopping and dining of The Market Common, the Myrtle Beach International Airport, and much, much more! You will feel the distinction of Prestwick as you pass through the gatehouse with watchman, through the shaded streets lined with full grown trees and beautifully manicured landscapes, passing the stately private clubhouse, pool, and tennis courts. The neighborhood caters to those interested in an active lifestyle for themselves and their families, providing a competitive tennis program, and a championship golf course. In 2004 Golf Digest labeled Prestwick Golf Course as one of the “best kept secret golf courses in America”. Prestwick also plays host to a number of different golf and tennis tournaments all year long. Contact us today to find out what makes Prestwick one of the most sought after communities on the Grand Strand. 843-424-6900 or email us.